I want to share my love of polka dots with you guys. 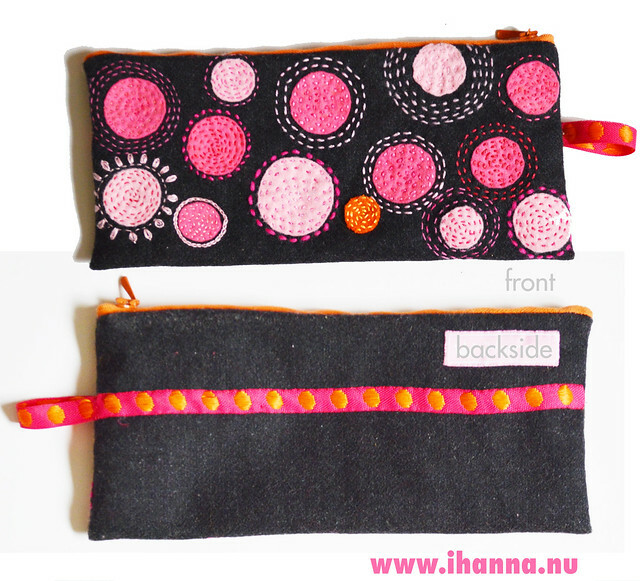 We’re starting with these pen cases I covered with embroidered polka dots. Isn’t polka dots the most inviting and lovely pattern that exists? I am always drawn to things covered in dots or circles, and I know I’m not alone. Polka dots are quite trendy, which is a good thing so that you can find them everywhere these days. 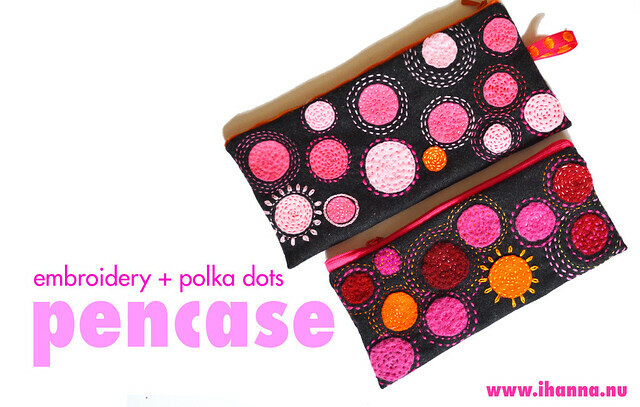 I do a little happy dance every time I see a mug or a notebook covered in polka dots. 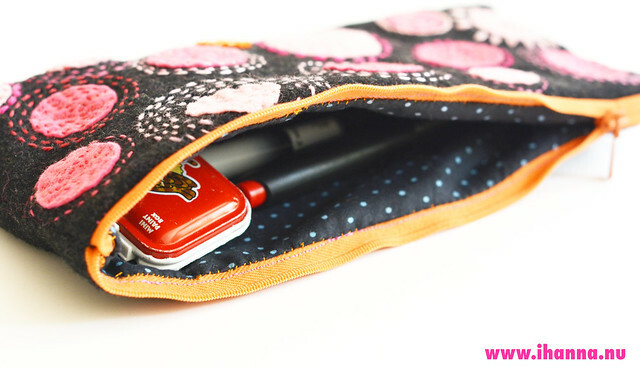 Finally I made my polka dotted fabric pieces into pencil cases by sewing them together, adding different cotton fabric as lining and then topping it with a matching zipper. I was super excited by the finished result, but it took quote some time to make them of course. Embroidery is a slow process. Still, I think I made three of these but right now I can’t find the photos of the third one, and I’ve given them all away to friends. Love the polka dot ribbon I added to the back. Fab! I love Kusama, and also traditions, repetition and repeating patterns. It’s the repetition that moves. It’s the repetition of birth that makes the world live even when things die all the time. My embroidery here is made on a wooly fabric. The threads is a mix of my favorite pearl cotton floss, DMC and wool, and what I could find around here in different qualities of hobby felt. More details of the embroidery. In the end I gave them all away, so I guess I need to make one for myself soon too. 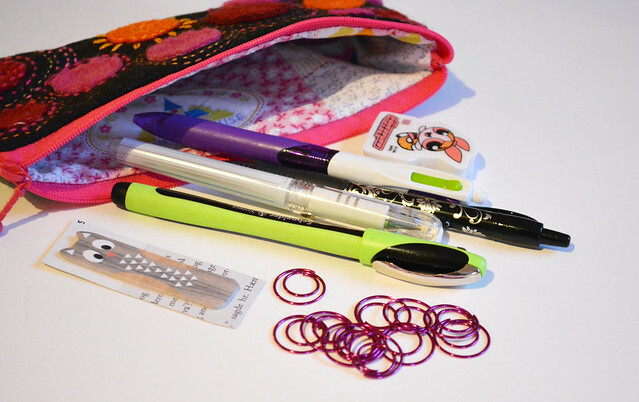 I loaded the pencil cases as should be, with goodies, and all was well received. It makes me happy to give away handmade things, but OMG, I find it hard to give the things I make myself, for many reasons. Making takes a long time for me, and often I miss my deadline (like with the Valentines this year), and then I never feel sure that they gifts are a good match for the recipient… It’s a struggle I strive to overcome, and giving these away is one step. What pattern is your favorite? 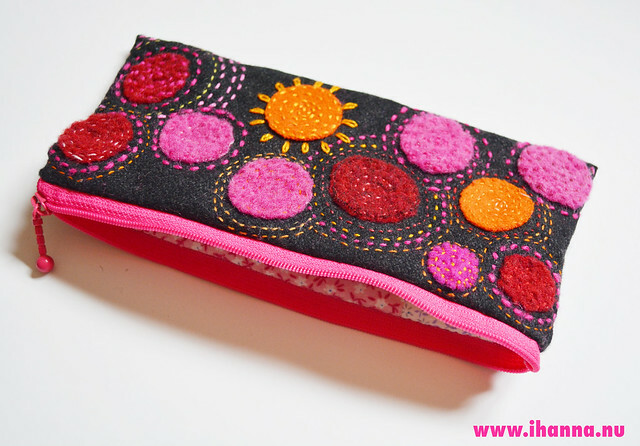 This entry was posted in Fabric Art and tagged embroidery, gift giving, handsewing, pens, polka dots, wool embroidery. Bookmark the permalink. I Love the one you gave me! They’re both wonderful, but I guess I like the one with more pink the best. Thanks for showing them off! We could be polka-dot partners! I’ve been in love with polka dots since forever. I seek them out in clothing and they often appear in my artwork and journals … just so fun and mood lifting. 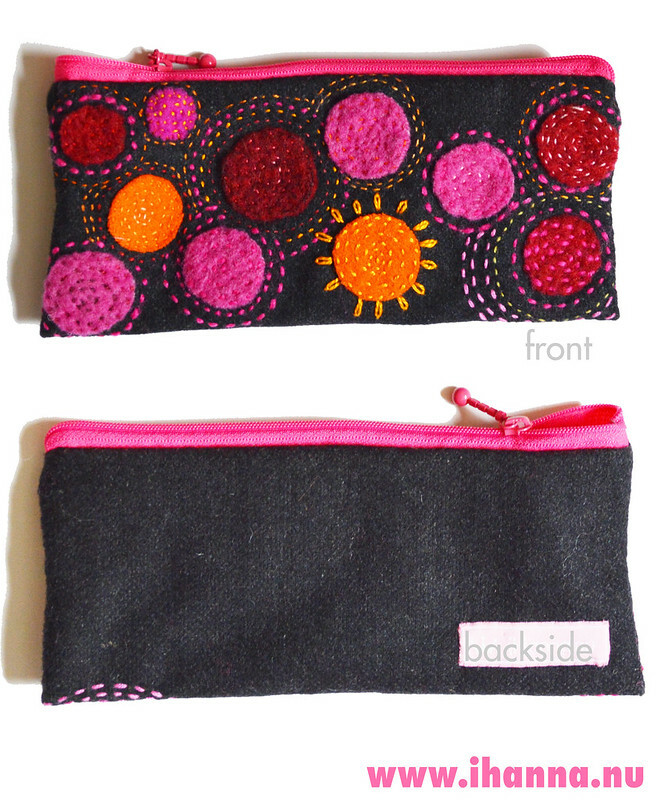 Thanks for sharing your gorgeous pencil cases. You’re so clever! What lucky recipients. Very impressed. So cute. Polka dots rule! 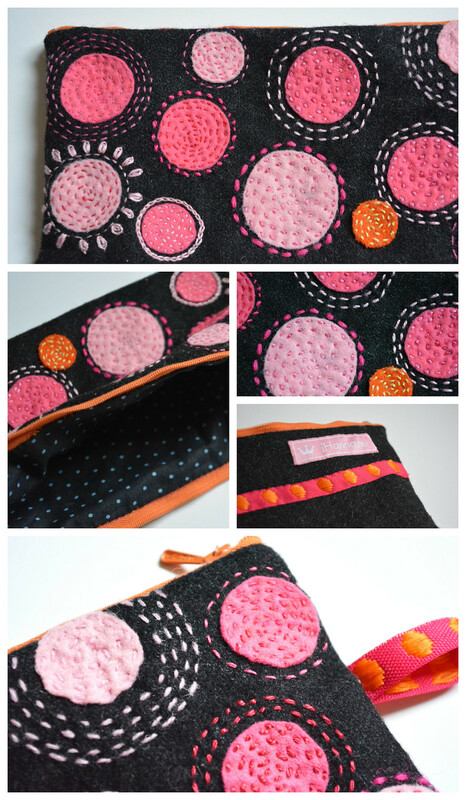 ”decorate your life with polka dots”’ I can’t think of anything more wonderful than that!! 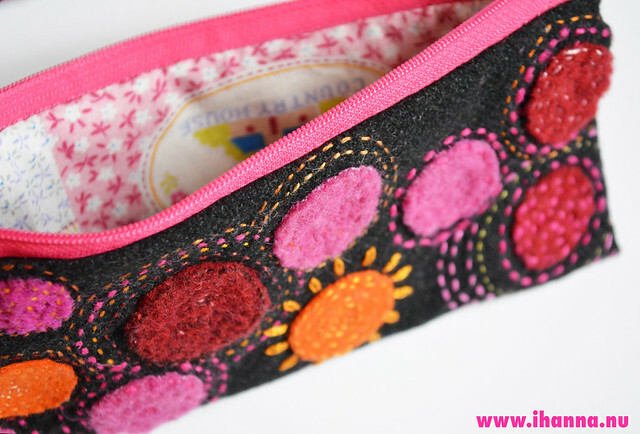 I might copy you :) I love these little pouches, they’re so happy and fresh…. Aw, thank you so much for your lovely comments, they made my day, thanks girls!